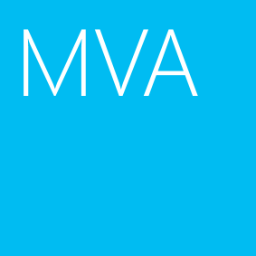 Microsoft announced Windows Management Framework 5.0 preview (WMF 5.0) for Windows Server 2012 R2 and Windows 8.1. One of the features is "OneGet" module. "OneGet" is similar to a feature "YUM" or "APT" in Linux. Using "OneGet", administrators can perform PowerShell to download and install software packages from internet repository. 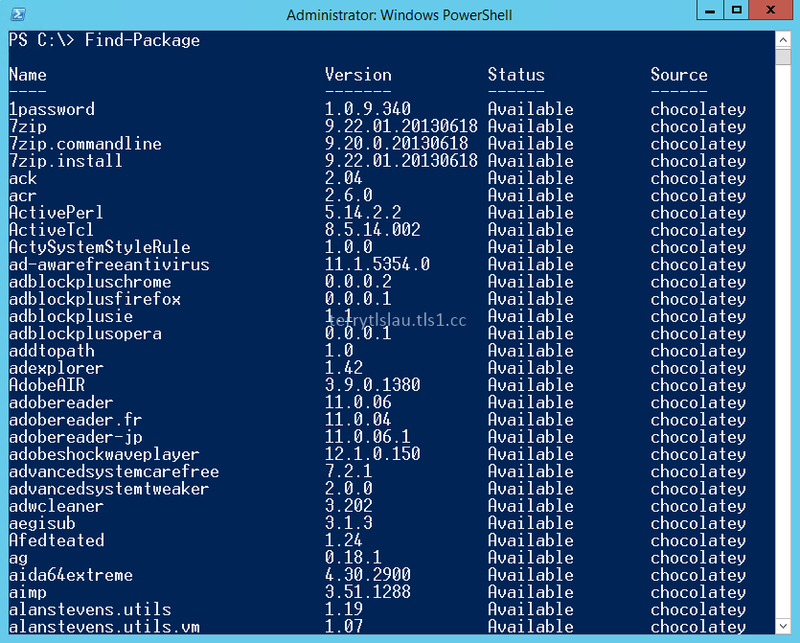 In this preview version, all source packages are from "Chocolatey". To use cmdlets to download and install package, make sure the operating systems are supported. At this moment, Windows Management Framework 5.0 Preview supported Windows 8.1 Pro, Windows 8.1 Enterprise and Windows Server 2012 R2. Microsoft also listed the application which are supported WMF 5.0. This is the preview version. Administrators shouldn't test it in production environment. 1. On a Windows Server, log in as administrator. 2. Navigate to C drive. 3. Double-click "Windows8.1-KB2894868-x64" to install Windows Management Framework 5.0 64 bit version. 5. Perform "Get-Command -Module OneGet' to get commands related to OneGet module. Like "Yum" or "APT", administrators can add or remove the package repository by performing "Add-PackageSource" and "Remove-PackageSource". Administrators can perform "Get-PackageSource" to get the other package repositories sites from Internet. At this moment, there is only one repository, "Chocolatey". 5. Perform "Find-Package" to find all packages from the repository. 6. Perform "Install-Package 7zip" to download and install "7zip". "Install-Package" automatically download and install the dependency package of the software which you want to install. 7. Perform "Get-Package" to check which package were installed by "OneGet" PowerShell module. 8. Perform "Uninstall-Package 7zip" to uninstall 7zip package. To get more details of "OneGet" module, please read this article PowerShell - Playing with the new OneGet module (v5 preview) is written by Francois-Xavier Cat.